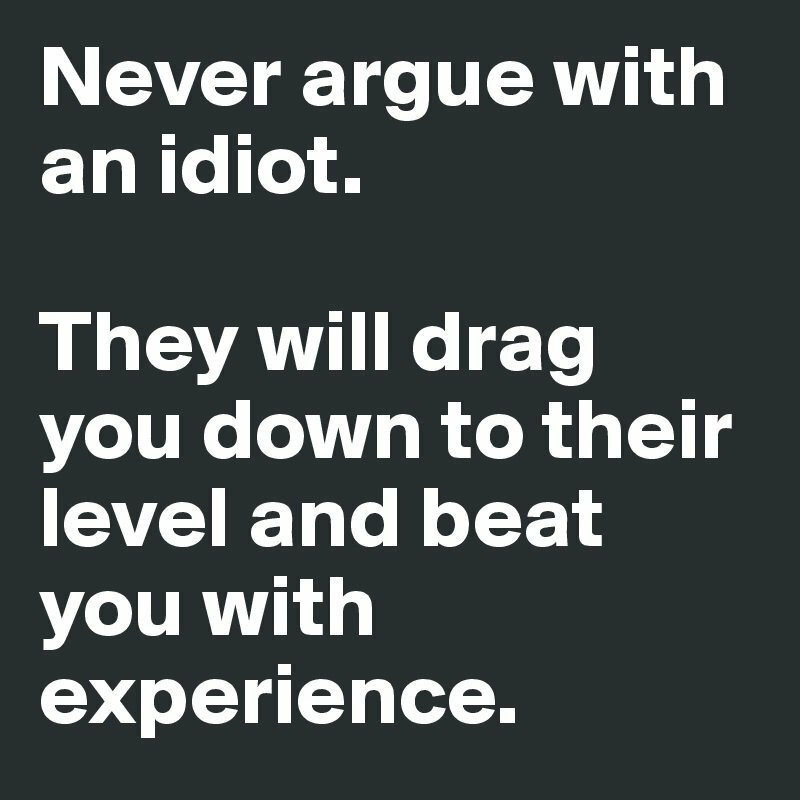 “Never argue with an idiot. They will drag you down to their level and then beat you with experience.” I always joke that this is “Kirby Hasseman’s Number 2 Rule of Life.” It’s my rule, but I really struggle to follow it. It seems like the “idiots” are the hardest people not to argue with! They are so clearly wrong. I just need to let them know! Then they will surely proceed to lead a more productive and happy life! Surely I am doing the world a favor by setting them straight. There are a few problems with my rule though. First, it seems like every time I go into an argument sure I am right, it keeps me from learning anything. Sure. Sometimes people are just wrong. But most of the time, they just have a different perspective. If I spend all of my time trying to convince them, I lose out to hear a new way of thought. Second, the moment I call someone an idiot (or any other name for that matter) I will never convince them of anything. No one has ever changed their mind after being insulted. Want to make sure you never miss an update? It’s easy. Just sign up for our VIP newsletter. Each week we do a weekly recap of the content, and sometimes we throw in some specials too! Sign up here.